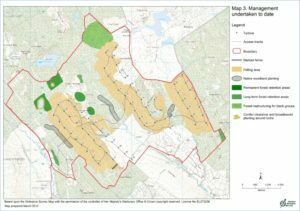 In addition to providing ECoW supervision during construction of the Griffin and Calliachar wind farms, we produced habitat management plans for both these sites. We are currently undertaking vegetation, bird and mammal monitoring in support of these plans. At Griffin, a significant area of young conifer plantation was felled to accommodate the turbines, so the management plan seeks to enhance the newly created open ground habitat, as well as the existing open moorland and forest edge habitats. 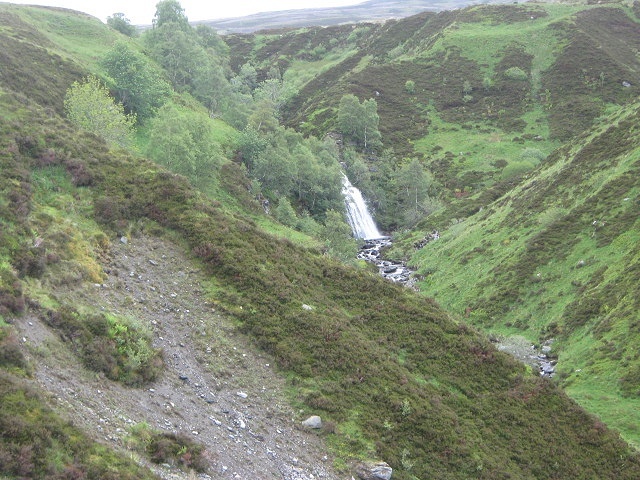 Measures implemented included riparian planting along the burn corridors that traverse the site, clearing back dense mature conifer from the edges of two lochans and restructuring older growth areas that have been retained. Further work included the creation of habitat piles from some of the brash strips, blocking former forestry grips and further riparian planting. In contrast, the Calliachar management plan is based offsite, in the south of the estate, where it seeks to enhance areas of transitionary habitat on the slopes between the valley floor and the upper moorland, focussing particularly on black grouse habitat requirements. Areas were selected and fenced to exclude grazing to allow the sward to grow long and encourage tree regeneration, several of these being adjacent to deep gullies where regeneration is well established. Tree planting was undertaken in selected locations to supplement the process. 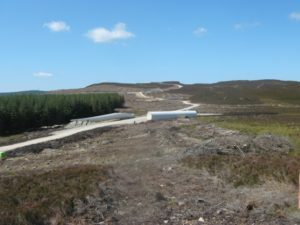 In addition, bracken control has already been undertaken as part of the plan to restore the upland grassland and heathland habitat.